You don’t stumble upon your heritage. It’s there, just waiting to be explored and shared. On a beautiful Saturday morning, over 200 participants joined our second discovery walk- THIS KUL CITY: DISCOVER BRICKFIELDS. The encouraging turnout saw a good mix of locals as well as foreigners, young children, families, youths as well as senior citizens who woke up bright and early and made their way to the Malaysian Association for the Blind (MAB)- the starting and ending location for the walk. 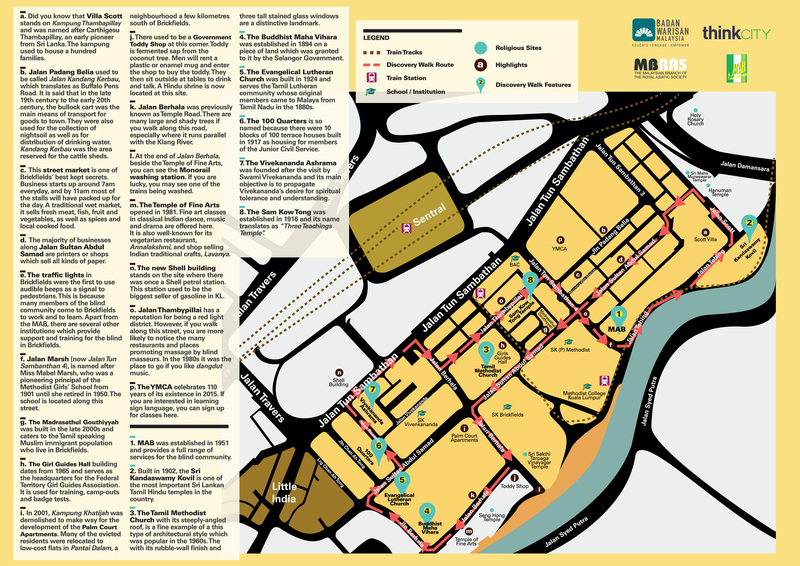 After checking-in at MAB, participants were given a walking map that included the route, task list and brief information on Brickfields and its landmarks. The walk kicked off at 8.30am and participants made their way from MAB in small groups, to the Sri Kandaswamy Temple, through Jalan Sultan Abdul Samad to the Tamil Methodist Church, Jalan Berhala, Buddhist Maha Vihara, Evangelical Lutheran Church, 100 Quarters, Vivekananda Ashram, through Jalan Thambypillai to the Sam Kow Tong Temple and back to MAB. Seven visually-impaired persons also joined in the walk, aided by participants who volunteered to be escorts. 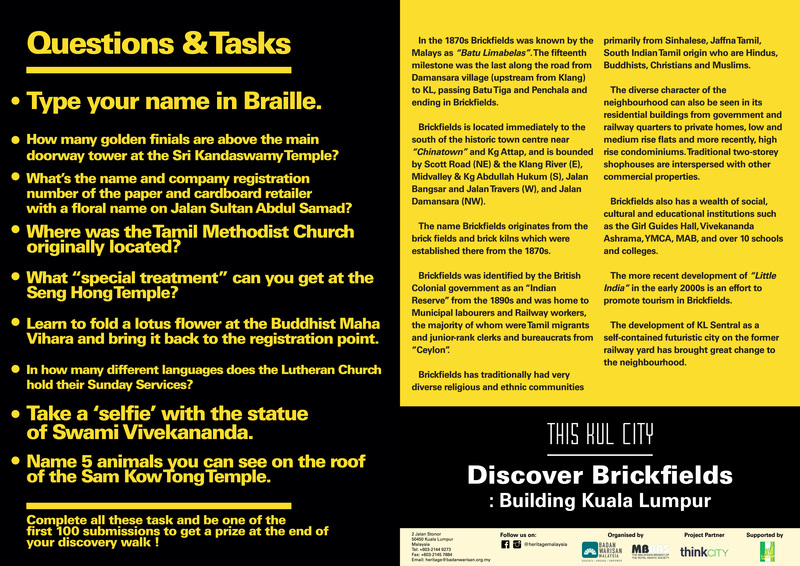 At each landmark, participants were asked to complete a task in order to receive a prize at the end of the walk.